Does a vendor’s industry experience matter? What kind of information and evidence should you gather about industry experience? How do you evaluate industry experience given all the other factors you are considering? Why Does Industry Experience Matter When You’re Buying an Identity Management Solution? In business, a vendor needs to understand your challenges before they can meet them. In some industries, the learning curve is relatively short. In other cases, it takes years to develop the expertise and knowledge required to achieve excellence. Just think of the degrees, certifications, and professional judgement needed to run a global bank. Is your company highly complex? If a company is operating in multiple countries or has multiple products and services, industry expertise will make a significant difference. The opposite is also true. If your company has a simple business model, industry experience may not be that important. Does your organization operate under high regulatory intensity? Banking, healthcare, and utilities are a few examples of highly regulated industries where knowing the details matters. For example, the Dodd Frank Act (i.e. Dodd–Frank Wall Street Reform and Consumer Protection Act) significantly increased regulatory intensity in the financial services industry compared to a decade ago. Changes in laws, regulations, fines, and similar activities all contribute to regulatory impact. Have you had negative experiences with generalist vendors? This is the unspoken fear that lies beneath many demands for industry experience. Ask others in the organization to gather details on this point so you understand the nature of the problems experienced. Is your organization pursuing a transformation project? Taking your company public or launching a major “bet the company” product are two examples of projects where experienced vendor support makes an important difference. If you have no transformative projects on the horizon, industry experience may be less important. We know that industry experience matters for vendor selection in several circumstances. If you have determined it matters for you, what information should you gather next? In some large organizations, you might be blessed to have procurement support. What if you have to carry out research on your own? Don’t despair — we will guide you through the research process. We will adopt a “minimum viable vendor research” approach on this theme. After all, there are other factors to consider, such as creating a successful identity management RFP. Vendor Website. Start with the basics by reading information on the vendor’s website. Specific points to investigate include the company’s annual report, thought leadership, and client list. Industry Awards. What awards and recognition has the vendor earned? In particular, look for specialized industry awards such as the FT Future of Fintech in the financial technology (FinTech) field. Degree of Industry Focus. Some companies have staff or divisions that specialize in serving certain industries. To continue the example from above, law firms have specialized practice groups focused on financial services. Review the vendor’s senior management biographical profiles for evidence of this focus. If applicable, check to see if the vendor’s staff have earned specialized certifications and credentials in your industry. Industry Conference Activity. What conferences and events does the vendor speak at? A simple Google search such as “COMPANY conference 2017” or “COMPANY conference speaker” will get you started on the research path. Word of Mouth Referrals. While valuable, this point is sometimes difficult to evaluate. To gather information on this point, ask three of your industry peers about the vendors you are considering. Seek out both the good and bad so that you have a full picture. If you cannot find anyone who has heard of the vendor, that is evidence as well. The vendor may be new to your industry and thus have limited expertise. 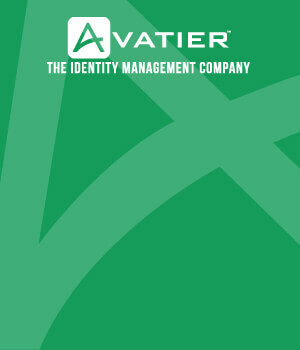 At this point, you will have a stack of notes and information about the identity management vendor under consideration. How do you make sense of this data? Use the following process to evaluate this data. Review Your Key Selection Criteria. We recommend using multiple selection criteria, such as price, thought leadership, vendor experience, and technical capabilities when selecting an identity management vendor. Assign a Weight to Industry Experience. If you are in a highly regulated industry, consider giving a high weighting to industry experience (e.g. 25%). Assess Third Party Information. Reports, media coverage, and awards from third parties unconnected to the vendor are an excellent way to assess the vendor’s industry expertise. Assess the Vendor’s Published Information. Consult the vendor’s website, white papers, blog, and other publications for evidence of industry experience. Do you find convincing details, case studies, or specialized products? Interview the Vendor. After the above questions, you will still need to pick up the phone and talk to the vendor. Prepare questions in advance and go through each point. Documenting your conversations during the selection process will lessen the risk of unpleasant inquiries from audit later. Rather than buying security software based on price, a multi-selection criteria process ensures you make a smart buying decision. 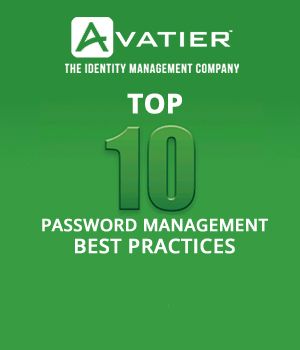 Keep industry experience in mind as you build out your key selection criteria for identity management.